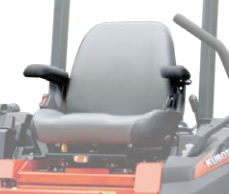 Add arm rests to your Kubota Z122R's seat. For more ergonomic, lower fatigue working, this arm rest kit enables you to reduce strain and find a more comfortable operating position by adding arm rests to your seat. 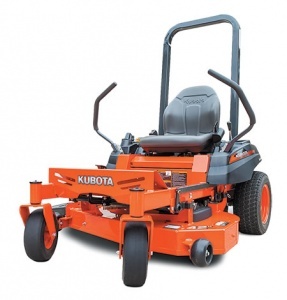 With a 42 inch fabricated mowing deck, a powerful, high performance Kawasaki engine and all the advantages of zero-turn control, this ride-on mower from Kubota is a great choice for residential users.